Do you own a rice cooker? As a Manhattan apartment dweller, space constraints force me to be extremely particular about which kitchen gadgets I choose to invest in. I can’t imagine life without my rice cooker, even though its permanent storage space is on top of my refrigerator. The premise of the rice cooker is this. You rinse your rice (they are SO insistent on this), dump it into the cooker with equal parts water plus ½ cup, and leave. Well, you don’t have to leave, but what you won’t face is the following scenario: keeping an eye on your rice for 40 minutes, cursing every time it bubbles over and raging when you YET AGAIN end up with an areal coating of burnt rice stuck to the bottom of the pan. The rice cooker, on the other hand, serves up perfectly cooked rice; fluffy, light, and airy, plus 40 minutes of pure leisure. Mine also cooks quinoa, and the consistency is spot-on every time as well. However, most cookers require a minimum amount of dried grains—about two cups—and the large yield has caused me to get extremely creative with my usage of rice. 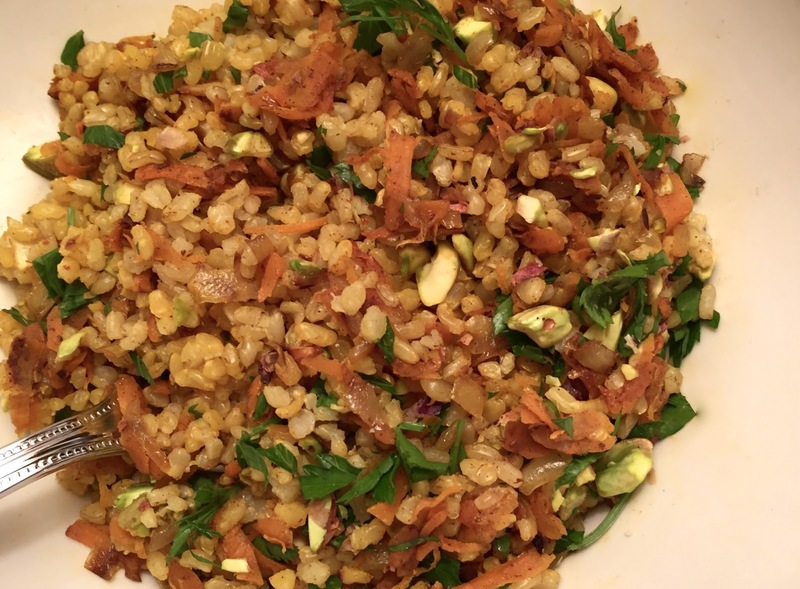 I’d like to share with you two of my favorite recipes so far: Goop’s Kitchen Sink Fried Rice and Louisa Shafia’s Sweet Rice with Carrots and Nuts. Both rice recipes are excellent, and shine in their own right. 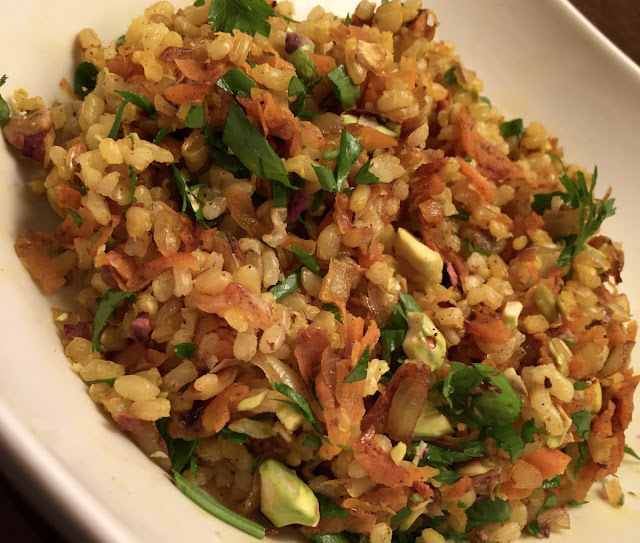 Kitchen Sink Fried Rice is the ultimate flexibility recipe, a chance to use up any combination of leftover vegetables and always triumph due to its vibrant Asian flavors, accented by fresh herbs and biting ginger. 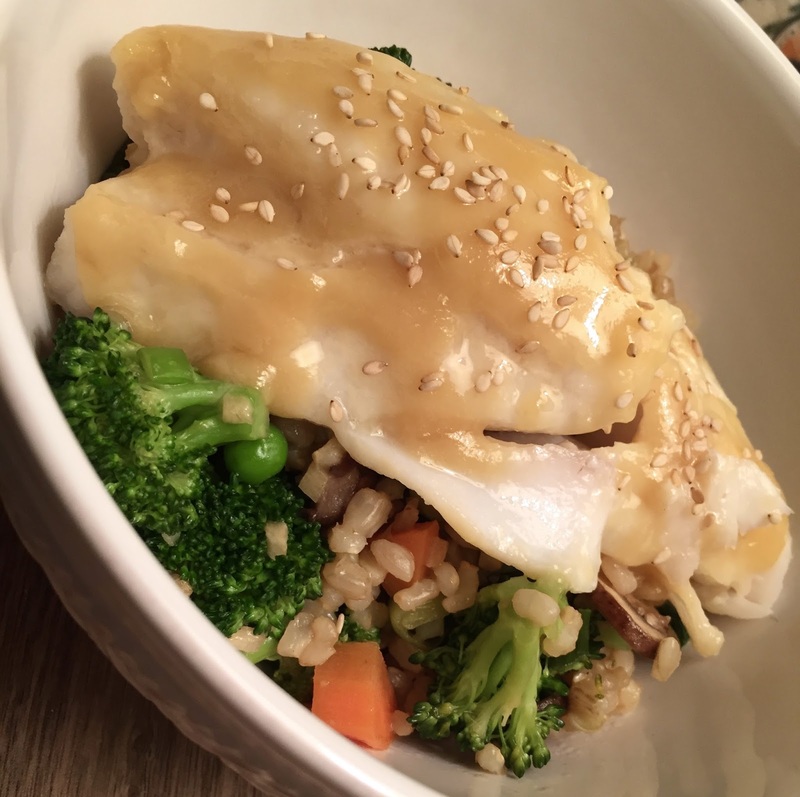 You can elevate this dish even more by forgoing the egg and adding a piece of miso-glazed cod on top, as impressive as it is (surprisingly) easy. Louisa Shafia’s Sweet Rice with Carrots and Nuts takes you on a journey to Persia, a magnificent adventure in honeyed flavors and hues. Spices cinnamon, cardamom, turmeric, and saffron render the rice exotic, while orange zest provides a nice bite against the sweet. Coconut oil provides a rich, nutty undertone as well. This recipe shines on its own, and is served best accompanied by a simple roast chicken. 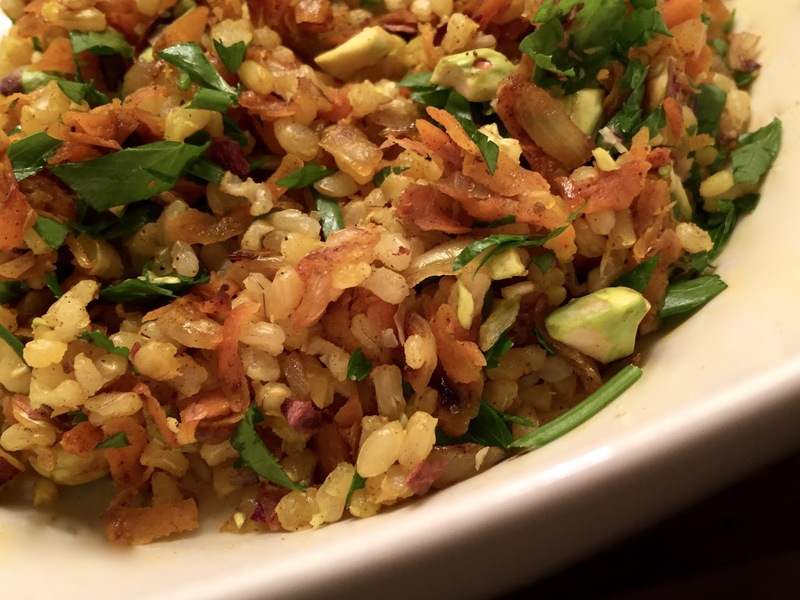 If you are looking for a satisfying, compelling dish for a dinner party, Shafia’s sweet rice can be your centerpiece. Of course, you don't need a rice cooker for these recipes, and a (closely-watched) saucepan will produce more than adequate rice. But if you do choose to invest, remember that besides producing excellent rice, the cooker forces you to expand your recipe repertoire—you’ll be surprised just how electric rice can be! 1. (This first direction is if you are using egg. 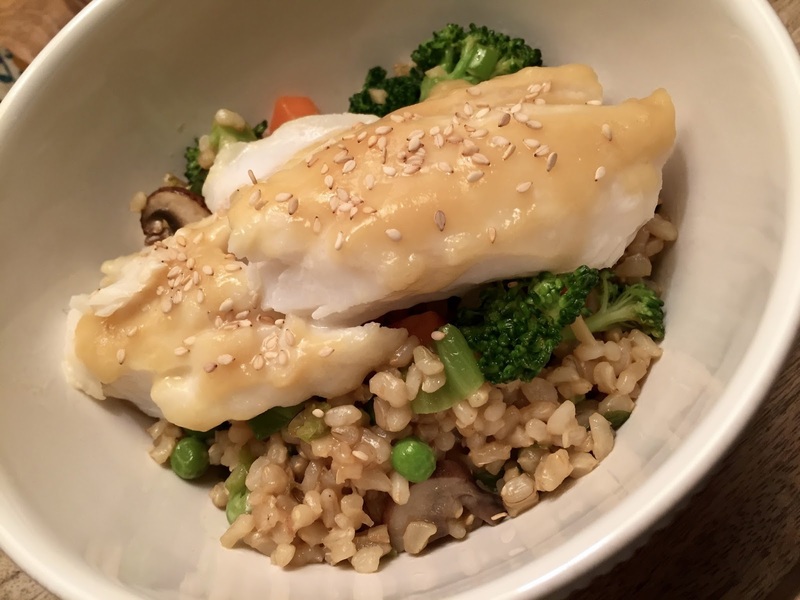 If pairing with cod, skip to step 2 and see cod recipe below). Heat 1 Tbsp of the oil in a wok or 12-inch nonstick sauté pan over medium heat. Add the egg and a pinch of salt, and scramble the egg until just cooked but still soft. Transfer to your serving dish. 2. Add another Tbsp of oil to the pan, turn the heat to medium high, and sauté the veggies until just cooked through (this will vary depending on the type and size of veggies). Transfer to the dish with the scrambled egg. 3. Pour in the last Tbsp of olive oil and add the rice, cooking over medium high heat for 1 minute, or until starting to brown and sizzle. 4. Add the ginger and garlic and cook 30 seconds, stirring constantly. 5. Add back in the egg and veggies and pour in the fish sauce and soy sauce/coconut aminos. Cook for 30 seconds just to combine all of the ingredients and flavors. 6. Mix in the scallion and fresh herbs and serve each portion with a wedge of lime. 2. Rinse fish fillets and pat dry with paper towels. Combine miso, brown sugar, sesame oil and mirin and stir well until brown sugar is fully dissolved. 3. Brush about 2 Tbsp miso glaze on each fish fillet. Marinate for at least 30 minutes, or up to 1 hour. Place fish under broiler for 3 to 4 minutes, or until top is slightly charred and glaze has caramelized. Remove fish from oven and brush with remaining glaze. Lower oven to 375 degrees F. Cook an additional 5 to 6 minutes, until fish is flaky but not overcooked. 4. Serve with toasted sesame seeds and scallions, if desired. 1. Cook rice in rice cooker, or: Drain the rice and rinse under cold water until the water runs clear. In a stockpot, combine the water and a pinch of salt and bring to a boil. Add the rice, return to a boil, then turn down the heat to its lowest setting. Cover and cook for 20 minutes. Turn off the heat and let the rice rest for 5 minutes, then dot with the butter (optional) and fluff with a fork. The rice should be dry and fluffy. 2. While the rice cooks, heat a small skillet over medium heat and sauté the onion in the coconut oil for about 15 minutes, until lightly browned. Add the carrots, almonds, cinnamon, cardamom, and turmeric, and cook, stirring often, for about 10 minutes, until the carrots are tender. Add 1/2 cup pistachios, the orange zest, and the honey and cook for about 2 minutes, until heated through. Season with salt. 3. Scoop the rice into a large bowl. Add the carrot mixture and drizzle in the saffron. Mix gently and season with salt. Garnish with the remaining 1 Tbsp pistachios.